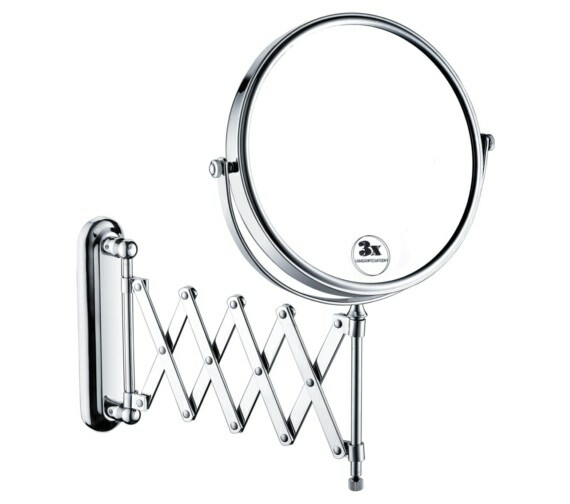 Get crystal clear reflections every time with the Extending Shaving Mirror, brought to you by Bristan. Constructed from high-quality raw materials for durability, this 8-inch glass mirror is safe to use, providing you the best of both worlds. 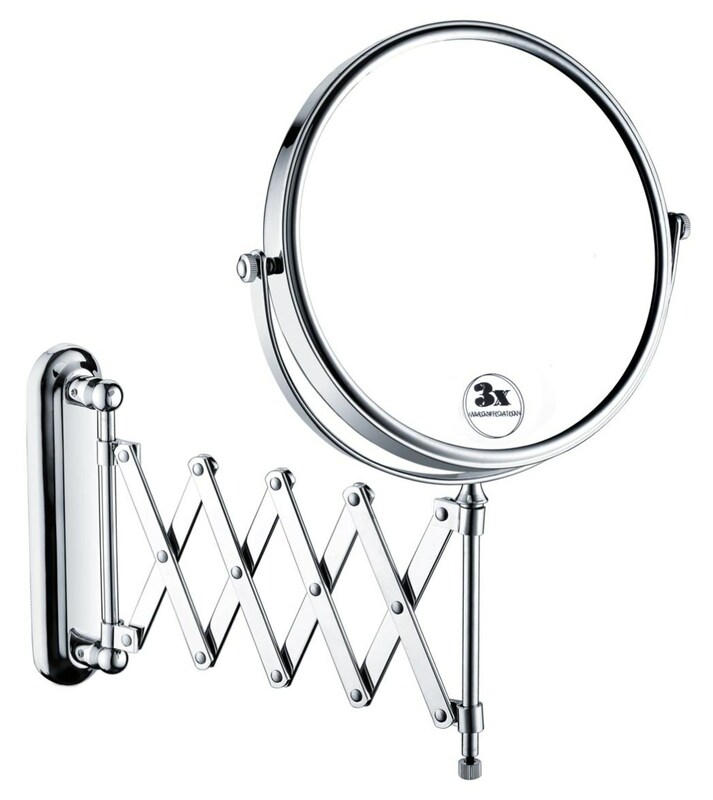 The double sided mirror swivels and gives you the option of a magnified reflection for better shaving. It cleverly incorporates a contemporary format, plated in chrome for a dazzling look. Strong and durable, it will last many years together and is backed by five years of guarantee against manufacturing faults. Get it at a discounted price from our online store. 5 year of guarantee from Bristan against manufacturing faults. Excellent mirror. Exactly as described and photographed. Good delivery. Perfect. Please see the dimension details for COMP EXTMR C. (1) Fixing Bracket Dimensions - 45mm x 185mm, (2) Fixing Screw Centres - 135mm. Please note, there are four fixing screws, in the four corners of the bracket. The vertical distance between the fixing holes is approx 32mm.